There is more than one way to define profit from my perspective. We can’t ignore the financial definition, however. This podcast os about redefining leadership as a pathway to profit. 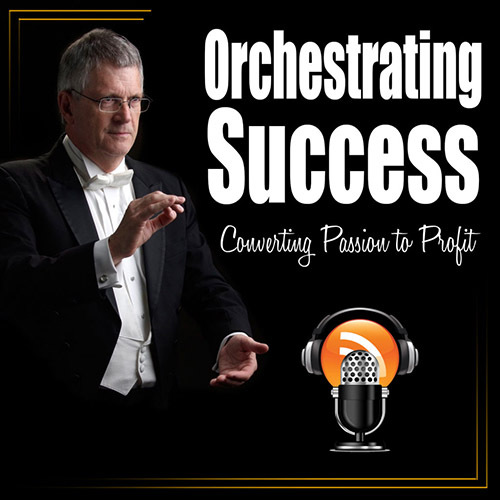 Welcome to Orchestrating Success: Converting Passions to Profits, Session 1. This is my brand-new podcast. The recurring themes that have come up over my 30+ years of working with leaders leading businesses, churches, synagogues, charities, and all kinds of organizations are themes that I am going to weave through this podcast over the different sessions. I have already interviewed some really great people with some powerful wisdom. In the next series of podcasts, I will be uncovering things like my four universal principles that will make you a better leader no matter where you are leading, and my five pillars of success: one, two, three, four, five, here is my pathway to success. I meet leaders doing all kinds of different things. I go to events. I keynote at meetings, conferences, workshops, symposiums, summits. I meet people at all kinds of gatherings where they are sharing information and improving their future. I commend people for studying. Many times, people come looking for the secrets outside of themselves. They are looking for secrets to come from someone else when in fact the secrets are inside. As a matter of fact, some of the secrets inside are the secrets that are holding us back. The barriers we create to success often are those barriers that we hold inside of us. They are those negative scripts, those things that we have been compromised with over the years, the things we don’t know about ourselves. There are the mistakes that we’ve made. It’s time to forgive ourselves and let go of those mistakes. Say, “It’s time to let go. I have done the best I can.” Those mistakes have been reframed from mistakes and redefined as learning opportunities. I have had many, many, many learning opportunities. This foundational podcast is about equipping self, unbinding self, releasing the barriers, discovering what is holding us back. It is the shadow that is inside of us that repels money, repels team members, repels customers, when we really want to attract those. Those are the people we need because we have something they need. I don’t know about you, but I listen to lots of podcasts. I learn lots of things from many people. Many people are very successful, and many of these successful people have a niche. This is what I do. I have been bombarded with people selling me, “This is the program that is going to make you rich.” Yes, we do need to make money. It’s not about the money; it’s about me making a difference in people’s lives and building a sustainable profit and income for myself and my business. We need to make money to make sure that we achieve the vision and mission that we see so clearly in our minds. Over this series of podcasts, we will look at some of these shadows, these barriers, these fears and obstacles that are holding us back. Let’s look at defining the life that we want, and then we create the enterprise that will support the life we want. When I meet people at different gatherings, they have great ideas, and out of every 100 people who have a great idea, only three people will do something about it and follow through. Out of those three people that do something about it, 90% will fail because they have not worked on their skill. One of the people I read and listen to is John Maxwell. John Maxwell talks about the different laws of success. One of those is the Law of the Lid. It says that our organization that we are charged with leading can only develop as far as our ability to lead. I tell people that, and I talk about the Dun & Bradstreet study that says 90% of businesses fail because the leaders can’t lead the business. People nod at me, tell me it’s interesting information but it doesn’t apply to them, and move on, trying to invent the future without the skillet. The 10/90 rule is: The knowledge, the skills, the programs, the services, and the systems that we have, we teach, and we offer is 10% of our business. The other 90% are those things that we don’t know that we need. It resembles an iceberg. We see 10% of the iceberg above the water, and the 90% that is below the water is what holds up the 10%. I equate this to trying to fly a plane without ever having taken flying lessons, without having a pilot’s license. We wouldn’t dream of flying a plane, especially with passengers, without having the proper lessons. I have watched some of those people that have given me that response who are stuck in the same place years later as they were when we first talked. I would challenge the assumption of, “Okay, I can figure it out as I go.” We are social entrepreneurs. We are making a difference in the world. We have a vision and mission to impact people’s lives, and that vision and mission deserve to make it. We are, however, not in a sprint race; we are in a marathon. It is important to train for the marathon because we want to make it to the finish line. It is not sufficient to say, “Oh, I just ran.” But we want to make it to the finish line. It is not important to me to be first; it is important to me that I get there, and I want to get there knowing that I have not completely destroyed my body. I have trained for this marathon. Yet we want to run a business, or we want to start a charity, and we don’t think we need to think about the systems, structures, and skills that we would need. What are we thinking? I am going to invent it. I have infinite time and resources, and I have an abundance of money, and I am going to waste it all and see if I can get there. Well, guess what? The most successful people I know have coaches. The most successful people I know study their craft. They study about how to get there. If you think about your favorite sports figure, actor, musician, every one of them works with someone to stay at the top of their game. During my 40 years of working as a musical conductor, I studied with the best conductors in the world. The better they are, the more this is true—they always are working on themselves, always working on getting better at their craft, always drilling at those things that they need to learn, and always working with the best of the best to stay ahead of the game. I recommend that people always have a mentor in business, no matter where you are, because we are always developing, always growing, always building our skills. 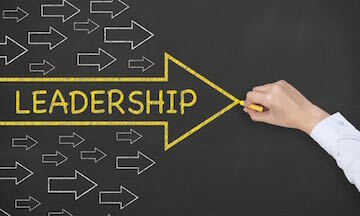 We want to define leadership in these ethereal, esoteric terms that are kind of fluffy. I would rather get down to brass tacks. Let me give you my three benchmarks of leadership. A leader is 1) a person who gets things done. A leader is 2) a person who knows how things get done. A leader is 3) a person of influence. People have said to me over the years, “You are a conductor. I know conductors are dictators.” Well, well, if you got a little white stick, it doesn’t mean that you can make anybody do anything. You can however influence them. I was lucky to be able to hire some of the great players from some of the major orchestras and do some guest conducting in Europe. I had some really great musicians that were sitting in the chairs around me. I would get on the podium, and these are union musicians. They are getting paid for a union gig. You have two hours, you have to be done, and they are leaving or you are paying them overtime. It is a very high-functioning culture, and they are daring you as the leader to empower them. They want to be challenged. They want to be challenged, or they just want to show up and play the notes. You have paid them for two hours. They will play the notes and leave. Or we can inspire them to excellence. I was yet to find any group that did not have the passion for excellence. They were looking to me to excite the passion to influence them and shape the process. In my life, I heard a piece of music, and it was okay. I heard the same piece of music by a different orchestra with a different conductor, and it was stunning, it was exciting. The difference was the leader. I worked with lots of different companies, and there is a difference in the culture. The culture reflects the leader. I also find lots of leaders that blame others for things that don’t happen. They blame their board, they blame their staff, some even blame their customers. If an orchestra or a choir does not perform up to standard, the first thing the conductor does is look in the mirror. There is a famous saying, “What they see is what you get” in music. In non-musical leadership, the culture is a reflection of the leader: what they see, what they experience, what they learn from the leader is what they will reflect back. I represent the integration of strategy and performance. When the conductor steps on the podium, we have a musical score. It is a piece of paper with dots. It is our job to transform those dots into this glorious music that the audience hears at a concert. There is work to that. This piece of paper will sit on a desk or a music stand, and it makes no sound on its own. We must integrate that strategy, which is a piece of paper, into performance. All of the musicians in the choir and the orchestra have their own parts. They know exactly what they are supposed to do. Yet I find leaders in major companies that don’t have a strategy or a plan. They say, “I have it all in my head. I can tell people what I’m thinking.” Well, it’s mass confusion because nobody knows exactly what’s going on, and it’s an insecurity of a leader not to be transparent and write down the goals. I say to leaders: If you have a goal and it’s not written down, it’s not a goal. It’s a dream. It’s a fantasy. It is not going to happen. Writing the goal down is a commitment. It’s a commitment to success. Sharing the goal with your team, your mastermind group, your mentors, your accountability partners is a commitment to success. It is also a pathway for the leader to develop the collaborative synergy of getting referrals. I experience over and over leaders who are burned out and complain about others in the culture not doing what is expected of them, yet when I probe deeper, I find that the same leader is doing everything. I ask this leader, “What is the incentive for others to do things if you are doing it all?” That is an Aha moment for a lot of leaders. That is called over-functioning. The reciprocity for over-functioning is under-functioning. So leaders actually set up problems. When we have an under-functioning team, it is time to review how we trained them to treat us, how we trained them to perform in the culture, how we have created the standard of low performance. It’s good to set the goals. It’s good to be transparent about the goals. Transparency by the way is a very high leadership skill. Transparency is about being very clear on what you do and what you don’t do. My friend Cal Turner went to his team at Dollar General and said, “My dad founded this company. I have this job of CEO and president because of my genes. I’m chairman and president of this company, and I have a vision of us going public. You have the skills. We need to work together. If you want to be successful, let’s take this company public.” Everybody on his team stepped up, and they took the company public. Everybody was wildly successful. They later sold the company for a whole lot of money, and the company became very successful. Cal said to me, “Hugh, leadership is about defining your gaps and then finding really competent people to fill those gaps. I needed to be transparent with those people that I didn’t have the skills and they did.” He continued to say, “If I had pretended to have those skills, they would know better, and they would say, ‘Aha! I am going to prove it to him. I am going to show him.’” They created a culture of collaboration because Cal Turner invited them into that space. He said, “Thank you,” and hung up. The next week’s call, I came on the call, and he said, “You know what? I told people that these are things I don’t do well. Every one of them filled up the space and said, ‘I can do that. I can do that.’” So I told him the story of Cal Turner and defining gaps. In this first podcast, I would encourage you to think about your goals. What are your goals for your life? Write them down. Bob Proctor is famous for saying, “Write down 101 goals.” I say great. But write them down on index cards. Sit down at your dining room table. Get a fine marker, and write your goals down. Write as many as you can think about. By the way, what I have learned from studying the writings of Napoleon Hill is that the successful leaders he interviewed could see the future, define the future in full detail, and then imagine and define it as already having happened. We write our goals in present tense, and we define them as already having happened. Then we work backwards for the process to get there. Define your goals in specific, measurable, present-tense, powerful language. I am in possession of $1,500,000 from sales of products and services in the year 2020. 2020. That is a specific, measurable outcome defined in present tense. My company delivers products and services to people in 83 countries. I have a staff of 900 people that work with clients in a very intense manner every day, 24 hours a day, with somebody in every time zone in the world. Those are specific, measurable goals. First, write your goals for yourself. What does your life look like five years from now? Here is your assignment. Get some index cards, get a marker, sit at your dining room table, and imagine the future. This is called future visioning. Write down as many goals for your life as you can think of. Then move the goals around, and begin to cluster them. I am willing to bet that if you cluster all the ones about money, there is a financial track. There are goals about systems. How do we live? What is family like? What does our life look like? Do we take vacations? Do we work? Do we play? All of these are about how we function. The other ones might be about skills. What do we need to grow in ourselves? That is an example. Once you do that, you probably will end up with three or four categories. One might be physically fit, running a marathon, and here are the goals around being physically fit, nutritionally fit, losing weight, building muscle, being healthy, being disease-free. You may have three or four categories. Four is the maximum, and three is ideal. If we have too many goals, we are going to lose control of them. Therefore, put them in a track, put them in sequence in the track, and then commit them to paper. Sleep on it, and come back. For every category, write a header that is the ultimate goal of where you are going to be. After you complete those, that is the five-year target. Only after you have done what your life looks like, make sure that you put in there the measures of satisfaction. What does success look like? What does satisfaction look like for you? How much is enough? How much is too much? Then you do the same exercise for the enterprise that you lead. You might have a napkin idea. You might have been in business for years. You might be compromised in the income that you want to receive. It’s time to change that. Unlock that barrier. Remove that obstacle. Begin by envisioning the future for this business, this charity, this religious institution that you lead. Sit down and write as many goals for the future. Cluster them. I am pretty sure you will come up with a category of financial, a category of organization—What does the company or nonprofit look like? How many people? What are the systems?—and one of products, services, programs, and offerings. Group them. Put them in sequence. Commit them to paper. Sleep on it. Come back. Create a header for each category. This is what it looks like at the end of five years. After you sleep on it, you can decide if you were too tame or too bold. Make sure that you have been bold enough. Make sure that you have created the measure of satisfaction. Now look at your personal goals and your business goals. This enterprise that you are starting, will it provide the life that you have defined? Make sure that you are going into this in alignment. You are not going to create an enterprise that will consume you and take away the quality of life. Goals written down are the primary starting point. Then we will come back and write our vision and our mission. What is our vision and mission personally? What is our vision and mission for the enterprise? We will cover that in a different podcast. But first, let’s do this future visioning. Define what the future looks like because our thinking defines our results. When Napoleon Hill interviewed Andrew Carnegie, Carnegie told him, “Any idea that is held in the mind and emphasized, that is either feared or revered, will begin at once to manifest itself into the most convenient and appropriate physical form available.” That is powerful. He wrote it down. Napoleon Hill interviewed these great people: Emerson, Edison, Ford, Wanamaker, Woolworth, five presidents, and more. He interviewed successful people and created the laws of success. In chapter two, he summarizes the strategy that he encourages people to read every day: 1) These people all had definiteness of purpose. They were very clear, and they could articulate the future. 2) They brought good to the world. They brought value to people. 3) They surrounded themselves with very competent people. It is true that we become like the people who we hang around. If you want to be broke, hang around broke people. If you want to be successful, hang around successful people. Associate with those people who will lift you up and put you into a different space. You will become like them, and you will support them. Keep the future in mind. The last of those principles is 4) Have a positive mental attitude. These successful people had a positive mental attitude. They knew what the future was, and they did not consider failure an option. Be the best leader you can be no matter what you are doing. Leadership is the pathway to profit. We have infinite passion. It does no good if we don’t implement. There are lots of strategies that people have written, and those strategies become written documents that sit on desks. A friend of mine calls it credenzaware. Remember leaders are three things. 1) Leaders get things done. 2) This is the illusive piece for a lot of people. Leaders figure out how things get done. That is the secret. We must learn that. 3) We must become a person of influence. We attract people, not the people we need, as James Allen says, but we attract people that are like us. it is important to attract the people who are going to empower us. Know what you want. Articulate your goals, and you will start moving right away toward those goals. You will begin attracting people that will bring you value. This is Hugh Ballou. Orchestrating success is about converting passion to profit. I’ll see you again on next week’s podcast.